Associate Professor of Marketing at Champagne School of Management, Troyes. 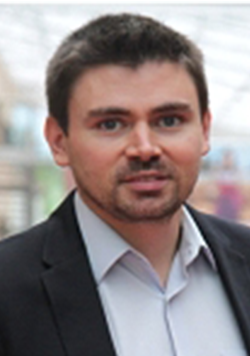 Damien Chaney holds a Ph.D. and a HDR in Marketing from University of Burgundy. He has three main research interests: the social evaluation of firms and markets, extraordinary and alternative consumption and consumer behavior and coproduction. Noureddine S. and Chaney D. (2018), A measure of revenue management orientation and its mediating role in the relationship between market orientation and performance, Journal of Business Research, 89, 99-109. Elommal N., Manita R. and Chaney D. (2018), Measuring exchange norms and its impact on satisfaction in a B2C context, International Journal of Market Research (Forthcoming). Chaney D., Pulh M. and Mencarelli R. (2018), When the arts inspire businesses: Museums as a heritage redefinition tool of brands, Journal of Business Research, 85, 452-458. Chaney D., Touzani M. and Ben Slimane K. (2017), Marketing to the (new) generations: summary and perspectives, Journal of Strategic Marketing, 25, 3, 179-189. Humphreys A., Chaney D. and Ben Slimane K. (2017), Megamarketing in contested markets: the struggle between maintaining and disrupting institutions, Thunderbird International Business Review, 59, 5, 613-622. Chaney D. and Drew M. (2016), The Role of Shared Values in Understanding Loyalty over Time: A Longitudinal Study on Music Festivals. Journal of Travel Research, forthcoming. Chaney D., Lunardo R. and Saintives C. (2015), In-store quality (in)congruency as a driver of perceived legitimacy and patronage behavior, Journal of Retailing and Consumer Services, 24, 51-59. Ben Slimane K. and Chaney D. (2015), Towards marketing of functionality: insights from Michelin and Hilti, Journal of Strategic Marketing, 23, 3, 225-237.